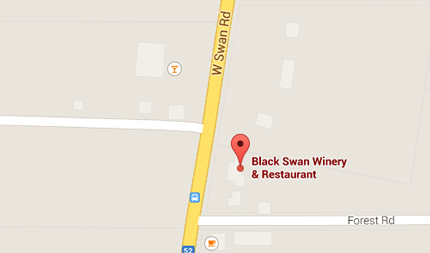 If you are looking for one of the best restaurants in Perth then Black Swan Winery & Restaurant is the Swan Valley's premier wine and dining experience. This world-class venue was designed by owners Barry Scrivener and Robyn Meloury with the sole purpose of taking in the breathtaking panorama, with floor to ceiling uninterrupted views of the picturesque surroundings. Please watch our Black Swan video clip below. Unwind in this magnificent establishment overlooking vineyards, rural properties, and grazing farm animals, all set against the backdrop of the Darling Ranges. Experience the ambience of unique architecture with its mixture of rustic elegance, openness and grandeur. Wine Tasting and Sales, A la Carte Dining, Special Occasions, Birthdays, Social Events, Corporate Functions and Weddings. Our approach to food is simple - place the ingredients themselves at the centre of each plate by utilizing the freshest and most seasonal products available. 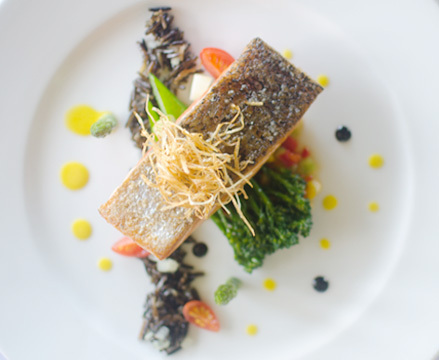 We design our menus and individual dishes with local producers or with providers of food products across Australia. The end result is aimed to create rustic yet beautifully presented dishes that will transport you through a menu progressing in taste, texture & temperature.